Six weeks ago, a local woman experienced water pressure loss at her home off Rogers Road, near the old Bend-Redmond Highway. "All of a sudden there was no water. I looked at the 1,800-gallon holding tank connected to my well, and it was empty," she said. The woman believes her 50-year-old well dried up as a result of improvements Swalley Irrigation Company has made to their canals over the last six years. The woman requested her name not be used because, as she says, "irrigation companies get real funny about water, and I don't want them to know my name. "Five or six other houses in my neighborhood have had their wells go belly up over the last six years. And I know people in the Pioneer Loop, Brookswood and OB Riley housing developments who have experienced the same thing," the homeowner explains. "It can't be increased usage, because only one new house has been built around here in 20 years." As an interim solution, the homeowner says she hired Bend Water Hauling to fill her holding tank at a cost of $125. The longer-term solution: hooking up to the quasi-municipal water supplier, Avion Water Company. Irrigation improvements affecting residential wells? These days, local irrigation districts are improving their systems—at least in part due to litigation aimed at protecting the Oregon spotted frog, the Bureau of Reclamation's Upper Deschutes Basin Study, the Shared Vision for the Deschutes organized by Coalition for the Deschutes, and other efforts toward increasing and stabilizing year-round flow in the Deschutes River, the source of Central Oregon's irrigation. One primary concern is "carry water," or the leakage and evaporation of irrigation water when it's pushed out to users. Between 40 and 60 percent of water is lost in irrigation transport, according to the Central Oregon Irrigation District, as noted in a 2017 Source Weekly article. Part of the reason: permeable lava rock. Hundreds of meters below our feet, the Deschutes basin is permeable lava rock. Jason Wick, president of Avion Water Company, posits that carry water leaking in transit through lava rock canals could be supplying residential wells. 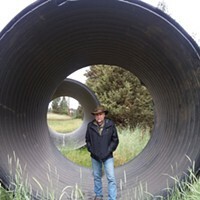 As irrigation districts endeavor to minimize carry water loss by lining canals with cement and piping, some wells appear to be going belly up. Jer Camarata, general manager of Swalley Irrigation District, which oversees the Rogers Road corridor, offers one explanation. 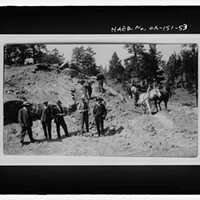 "The small irrigation ditch near Rogers Road is a simple earthen/unlined ditch. Measured seepage losses within the ditch are approximately 20 percent... In this instance, since we know the ditch leaks... and a handful of... well levels in the area have reportedly sank anyway, it makes one wonder what else might be going on." Although Camarata says Rogers Road's nearest irrigation canal is an unimproved ditch, the Deschutes Basin is a complex network of permeable subsurface lava features. In this system, it could be misleading to think only the canal in closest proximity could be leaking into wells. Improvements to canals farther away could also potentially affect wells on Rogers Road. Based on a system improvement plan on the Swalley website, the Rogers Road area is slated for piping improvements. Camarata wrote in an email, "None of our [Swalley] infrastructure has been cemented or concrete shotcreted near or around the Rogers Road area within the last 5-6 years. 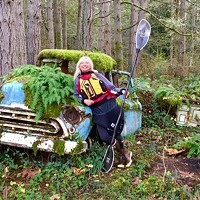 Around 15 years ago, Swalley concrete lined a very short section (maybe 200 yards long or so) of its Main Canal...that section of canal was about 2.5 miles downstream and north of the Rogers Road area, though." While irrigation districts specialize in managing surface water, Avion, the largest privately owned water utility in the state, deals exclusively in the residential distribution of groundwater for 13,000 customers. Wick believes less than .0001 percent of Avion customers are seeking a water utility as a result of dried up wells due to irrigation modernization. Groundwater throughout Central Oregon, Wick notes, can typically be found between 400 and 600 feet in the subsurface—barring geologic anomalies like the Rogers Road area. There, water is found at a depth of 200 feet. Zones like that one are known as perched aquifers—a localized area with subsurface water shallower than the regional water table. In a perched aquifer scenario, the water store is unlikely to be connected to the groundwater system and is therefore not receiving a natural recharge. Its contents should be finite and unchanged, with the exception of someone drawing from their well. "We know wells on Rogers Road are fed by irrigation leakage [carry water] because they increase in available water when irrigation gets turned on seasonally," explained Wick. If a residential well isn't affected by a geologic anomaly and is connected to the water table, Wick says the recharge rate is 4,000 cubic feet per second. "Physically there is a lot of groundwater available, but politically there is not. Remember, there is a big difference between groundwater and surface water," states Wick. According to a United States Geological Survey analysis of groundwater level changes in the Upper Deschutes Basin from 1997 to 2008, climate variations have the greatest influence on groundwater levels throughout the basin. 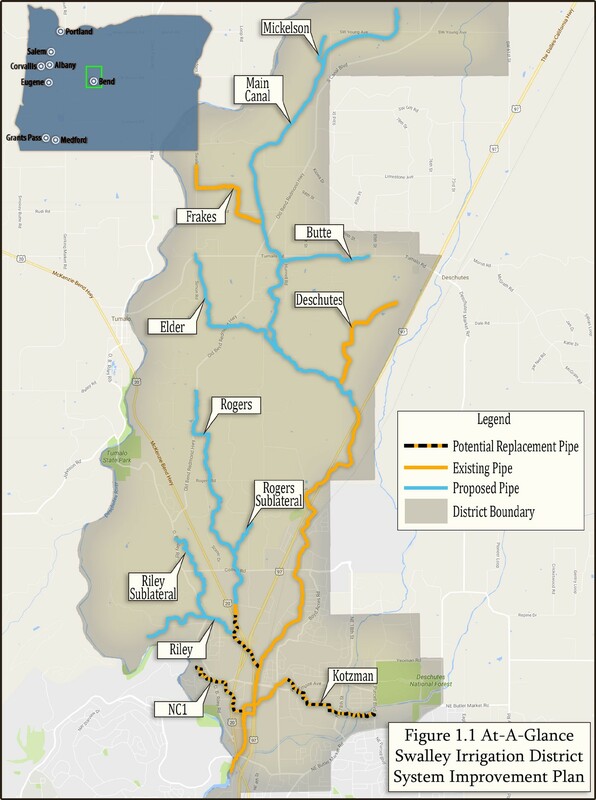 "Impacts from pumping and canal lining also contribute but are largely restricted to the central part of the basin that extends north from near Benham Falls to Lower Bridge, and east from Sisters to the community of Powell Butte. Outside of this central area, the water-level response from changes in pumping and irrigation canal leakage cannot be discerned from the larger response to climate-driven changes in recharge. Within this central area, where measured water-level declines have generally ranged from about 5 to 14 feet since the mid-1990s, climate variations are still the dominant factor influencing groundwater levels, accounting for approximately 60–70 percent of the measured declines," the analysis states. However, can findings from a regional water table study be applied to an isolated geologic anomaly, like a perched aquifer? To that question, Camarata poses two more questions: "If one lived next to a canal or ditch and could prove that the groundwater levels of their well fluctuated with the seasonal flows of the canals, how would one really feel about drinking that untreated river water?" In addition, he says, "What if it turns out that piping the canals and using some of that conserved water to recharge the river, in turn recharged the wells?" After extending 400 feet of piping, plumbing fees and setting up a meter, the homeowner with the alleged dried up well paid $12,000 to hook up to the Avion grid. "If you can't hook up to Avion, you have to drill deeper or an entirely new well, which is risky and could be upwards of $45,000," notes the homeowner.